Sarah moved to Revelstoke and joined the Bodylogic team in 2015. Having left a busy practice in the Okanagan, Sarah brought with her a variety of skills and techniques that allow her to work with a wide range of clientele. Leaning to towards deep tissue, trigger point and fascial techniques, she also blends an element of relaxation into her treatments and is able to adjust her pressure and treatment approach as needed for client comfort. 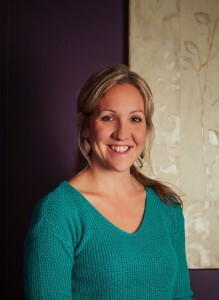 Sarah is passionate about health and wellness is excited to share her knowledge with clients. Her previous experience as a Pilates instructor allows her to formulate home care plans that can assist each client on furthering their healing outside of the clinic. When not at work, you can find Sarah outside with her family enjoying this incredible mountain town. View Sarah’s schedule and book online here!